December is here, so it’s time to trim your Christmas tree, hang lights both indoor and outdoor, shop for close friends, family and colleagues and of course, bake some delicious cakes. 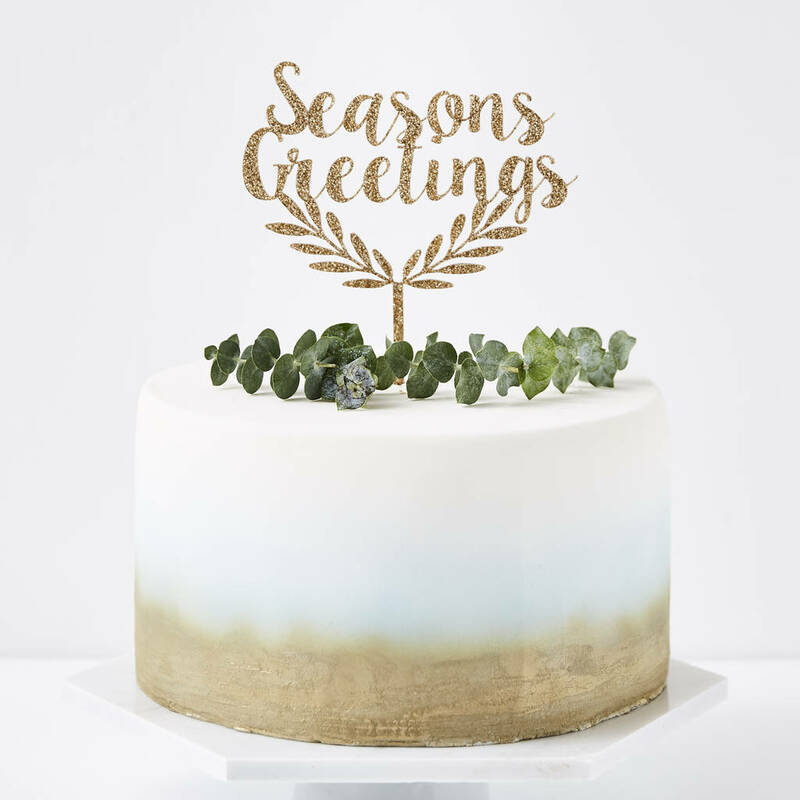 When it comes to Christmas cake, everyone wants to create something that wows the guests, both in terms of taste and aesthetic. The taste part can be achieved easily, but the decoration can be a bit tricky. 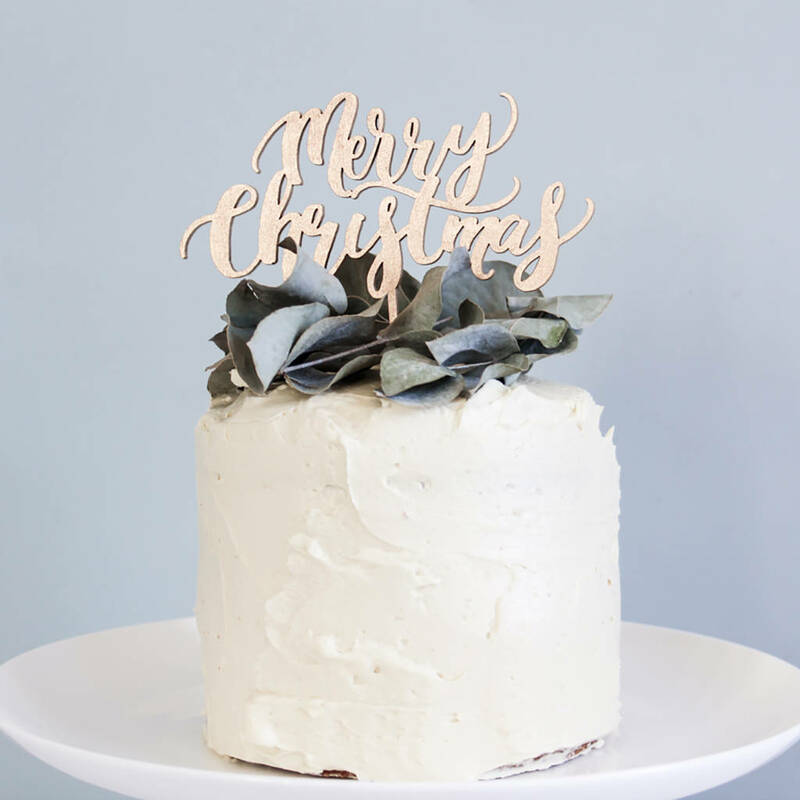 But not anymore as in this article, we’ve shared some of the most wonderful Christmas cake toppers from across the web. 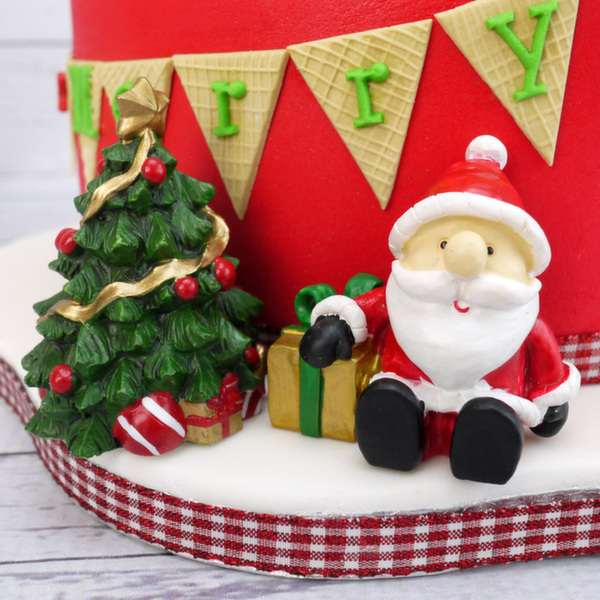 Take a look at our selection of Christmas cake toppers below. 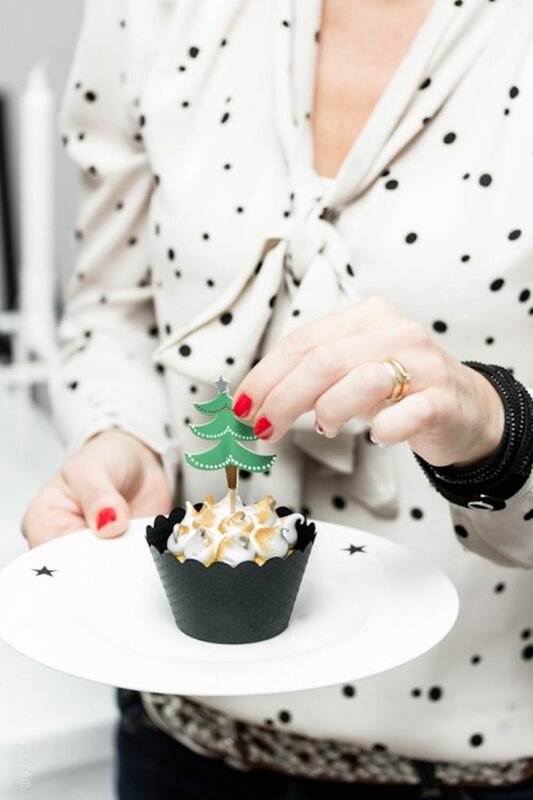 How pretty does this little Christmas tree look perched on the delish cupcake? 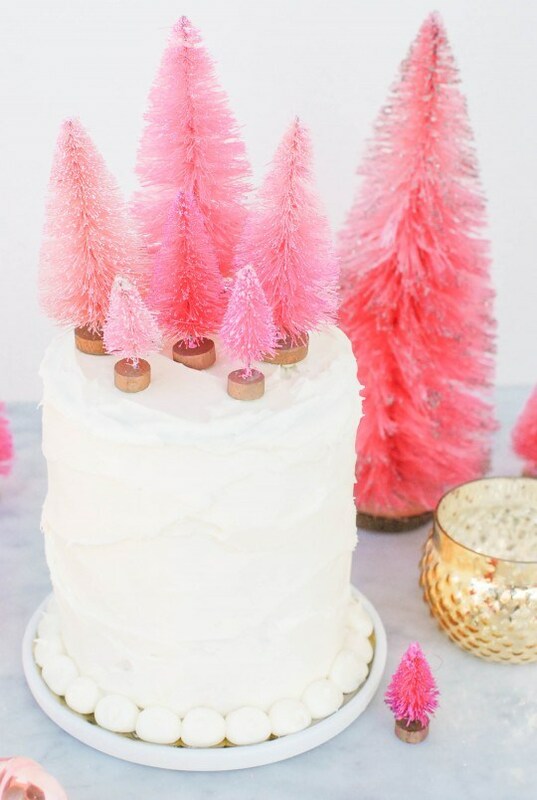 You can create the same for your cake by printing out Christmas tree images from the internet and gluing them back to back with a toothpick in the middle. If you’re making log cakes this Christmas, this reindeer tree topper would make a more than perfect topper for him. If you have the skills, you can try making this topper from fondant, or spray paint a reindeer or polar bear and place it on the tree. You can dust it off and use it as your tree’s ornament too! 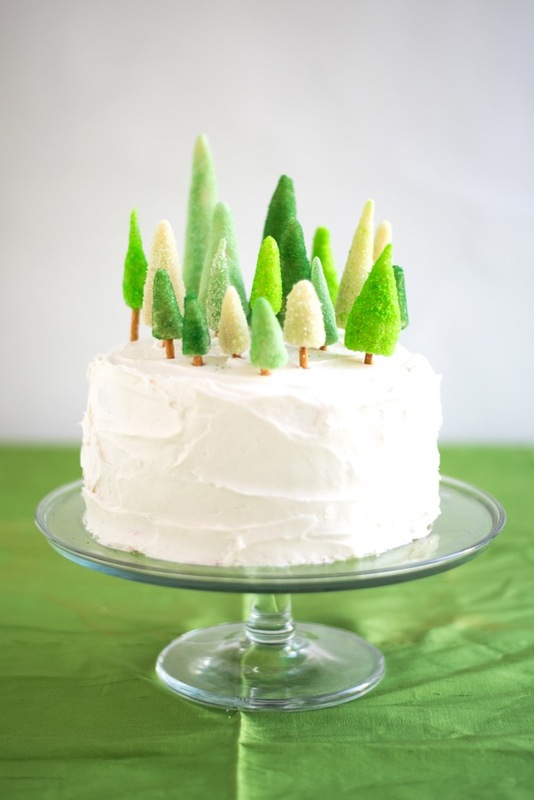 This beautiful and colorful forest is sure to stand out against the white background of your cake. What we love the most about these toppers is that they fit with the modern spirit. These trees can easily be made with metallic paper of any color of your choice. Here’s another lovely Christmas cake topper, which would work amazingly against light or neutral colored cupcakes. 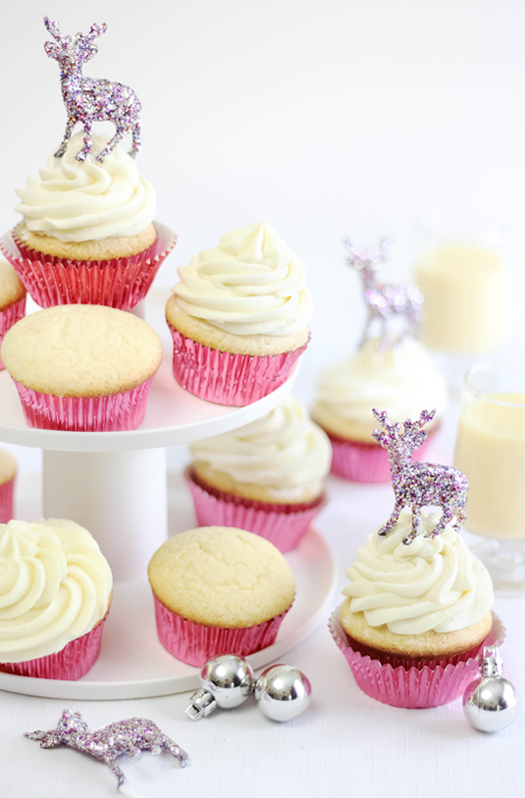 Coat the little reindeer in colorful and shiny glitter and top it on your cake or cupcakes. 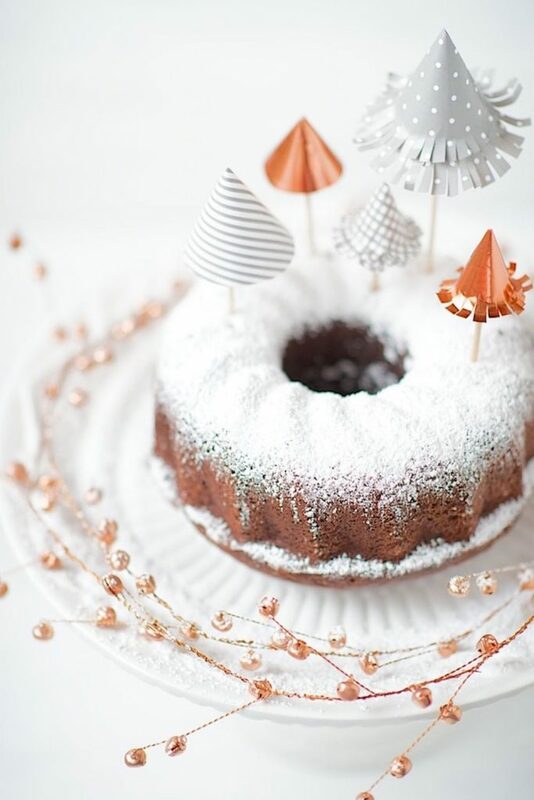 Create an entire winter wonderland on the cake by following the method given by Style Sweet CA. 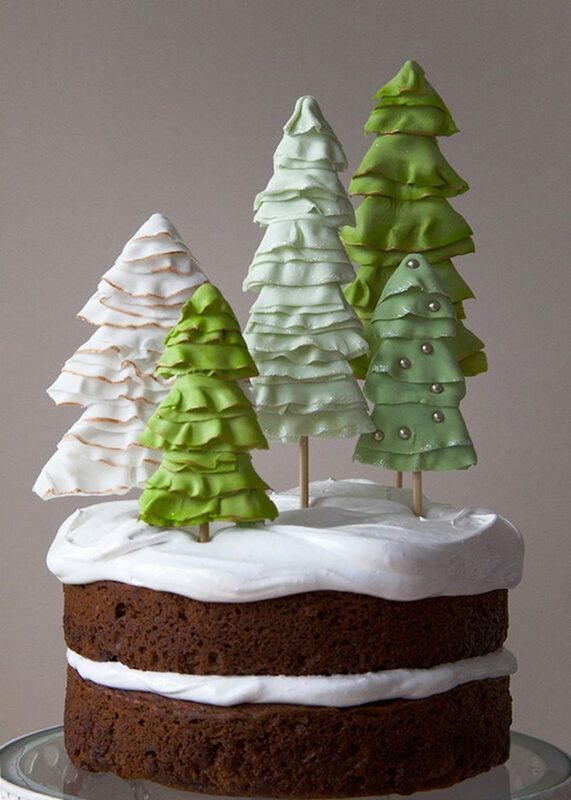 The trees are made out of fondant, which means this winter wonderland is entirely edible. And only the tree toppers will take some of your time because the cake looks incredibly easy to pull off. Christmas is all about being merry and happy so how about making this playful cake topper, inspired by a popular Christmas carol, to decorate your dessert? It’s so colorful that it will look best against a white cake. If you’re totally okay with the idea of using a bottle brush for decorating your cake, there’s no reason why you shouldn’t pick this idea. You can easily get hold of these little cuties to give a fresh and unique look to your Christmas tree. 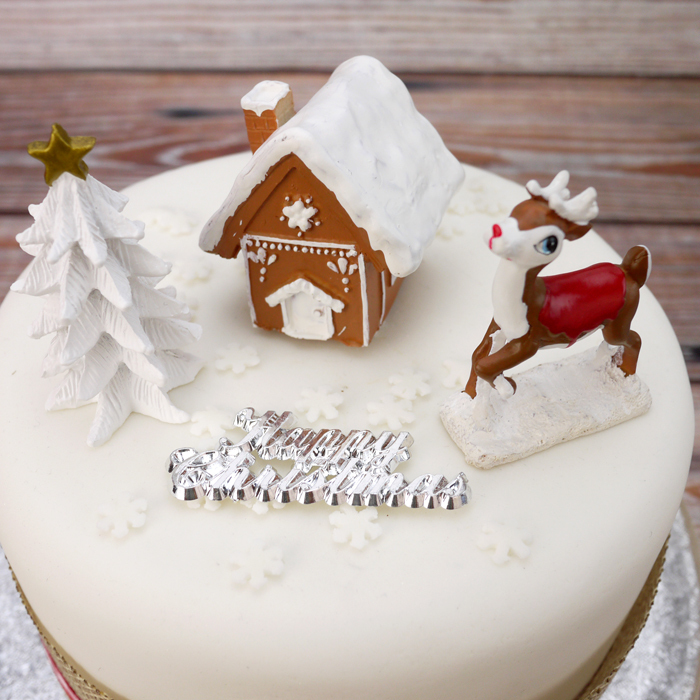 Look no further than your backyard for creating this absolutely magical Christmas cake. You will need fresh berries, pinecones and evergreen to decorate this cake. And it’s entirely natural. The burlap is taking this cake decoration to a whole new level. 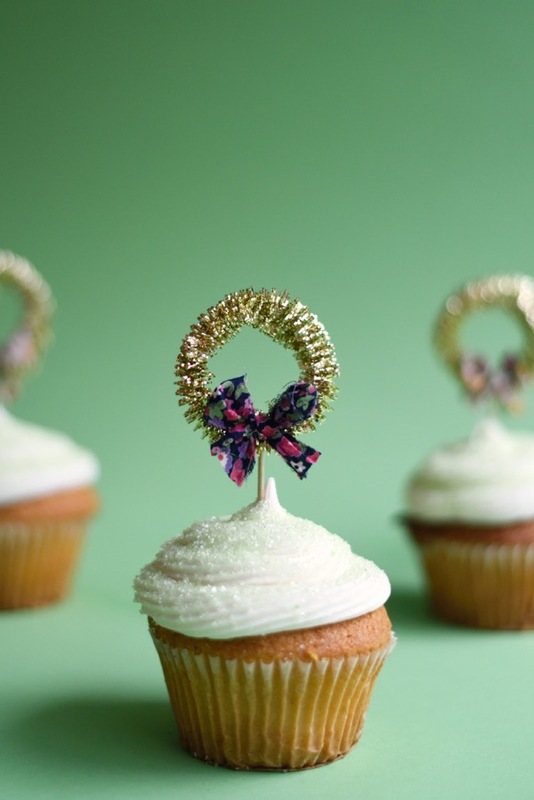 Who knew an ordinary stationary item such as wired gold trim can be used to make pretty little toppers for your cupcake. It won’t take even 10 minutes of your time to make these mini wreaths to enhance the beauty of your baked good. 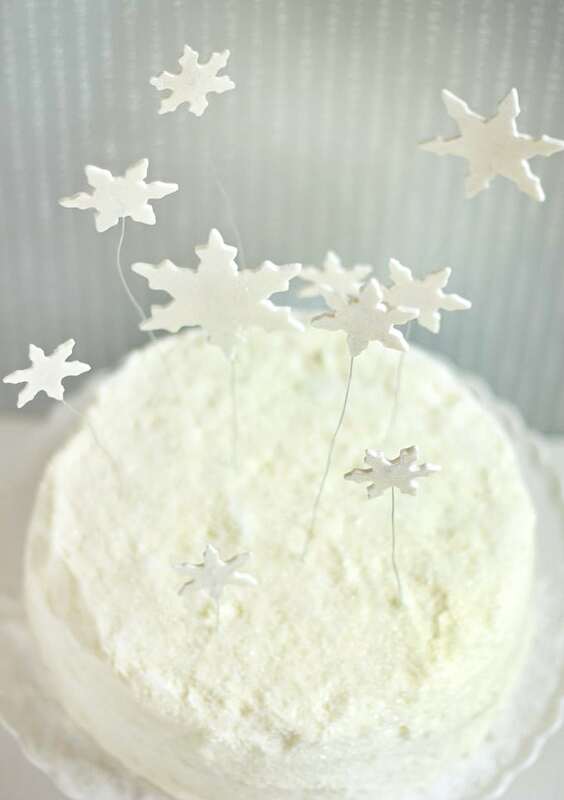 Since Christmas is all about twinkling stars and lights, how about putting some on your cake as well. And we guarantee you your cake has never looked so amazing before. It’s one of the easiest Christmas tree topper ideas because you’ll get these 3D stars in almost every stationary store. Bring some colors to your Christmas table by decorating your cake or cupcake with these colorful Christmas tree cake toppers. 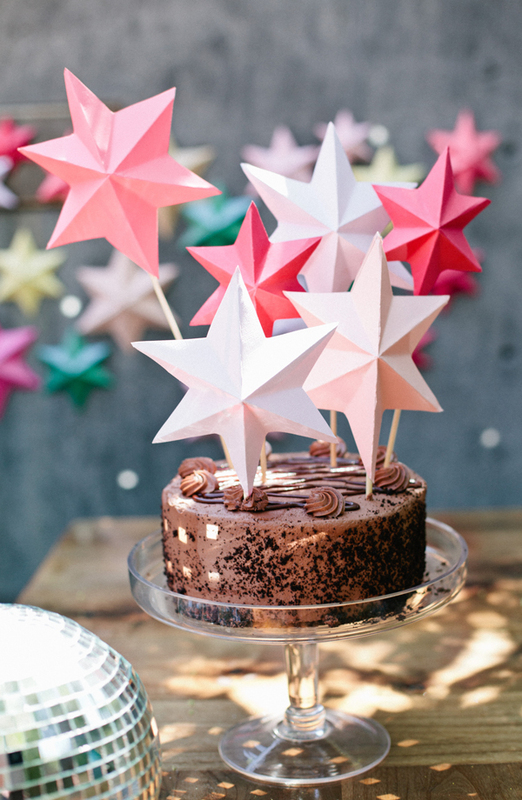 You need to cut the Balsa wood into triangles and paint some stripes to make your dessert the showstopper. 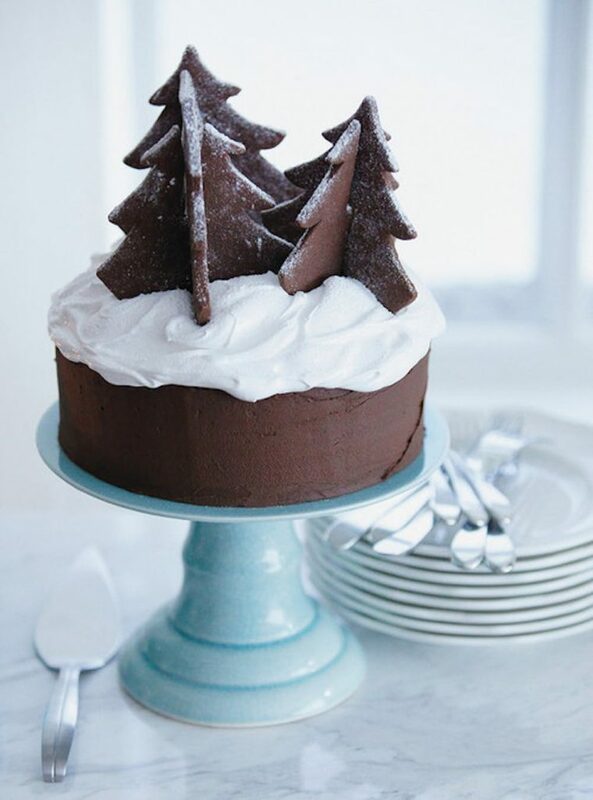 And we equally love this chocolate tree topper on a decadent chocolate cake. To make these, you have to download the template, trace the outline on cookie dough and cut it out. Bake, assemble and put it up on your cake. Here’s a quick way to decorate all your cute little cupcakes for yearly gifting or holiday bake sale. 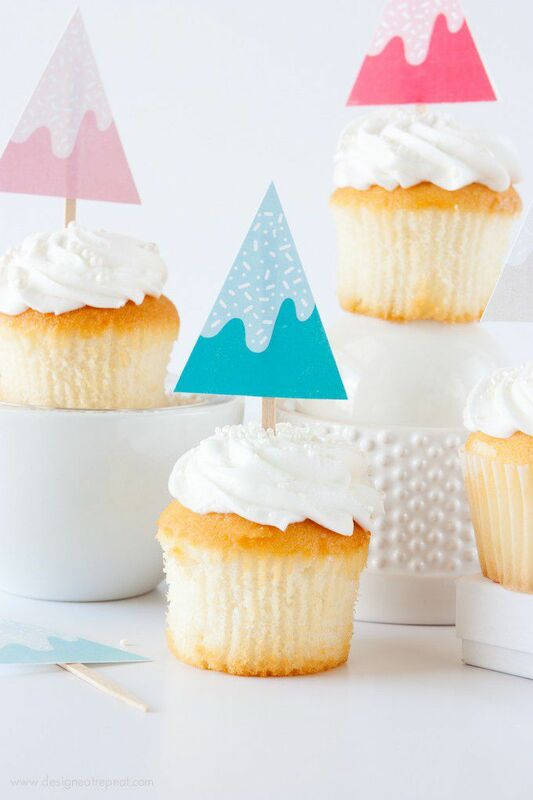 Download the template, cut out the design and insert it into your cupcakes using a toothpick. 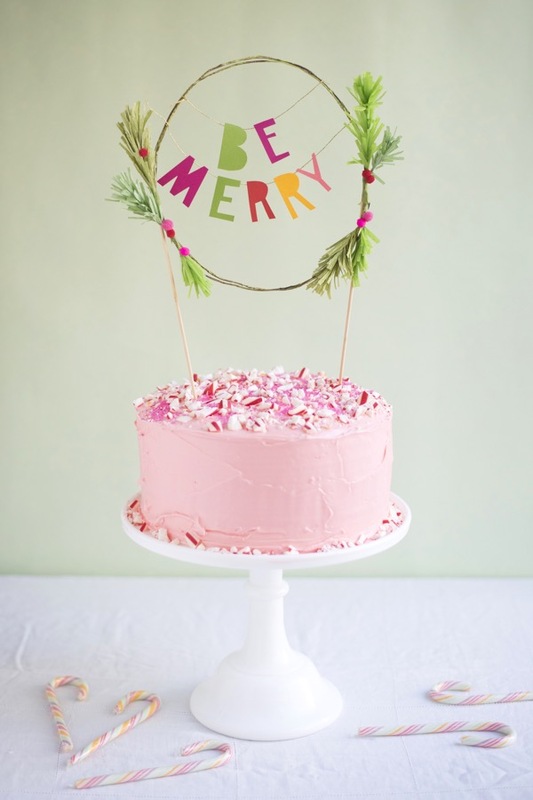 Here’s another beautiful Christmas cake topper from Oh Happy Day we couldn’t help including in our list. This topper is basically a wreath made out of artificial pine branches. So you can be rest assured that the needles won’t fall on your cake. Have you ever seen a Christmas cake so pretty? We bet you haven’t. 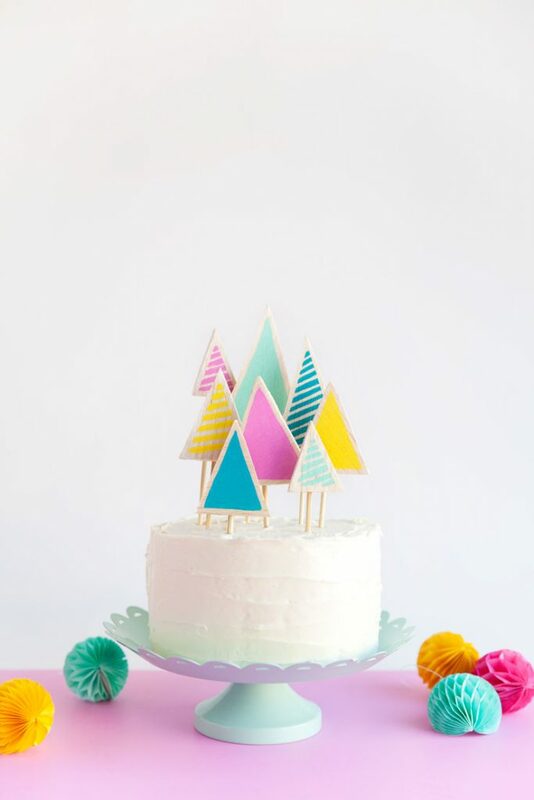 You just need a handful of simple cone shaped trees in different trees to create this mind blowing cake. You can create a similar snow scape by dusting some powdered sugar on your cake. 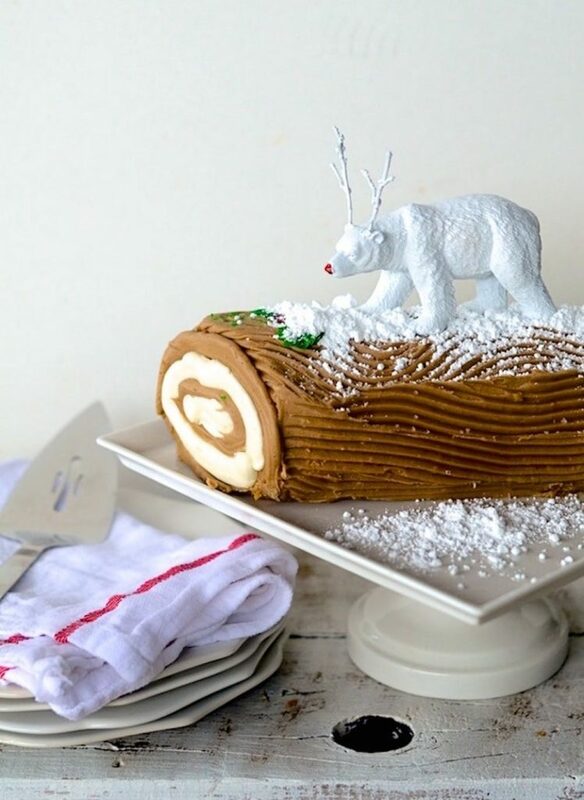 Here’s a unique and easy way to dress up your cake or cupcakes for Christmas. 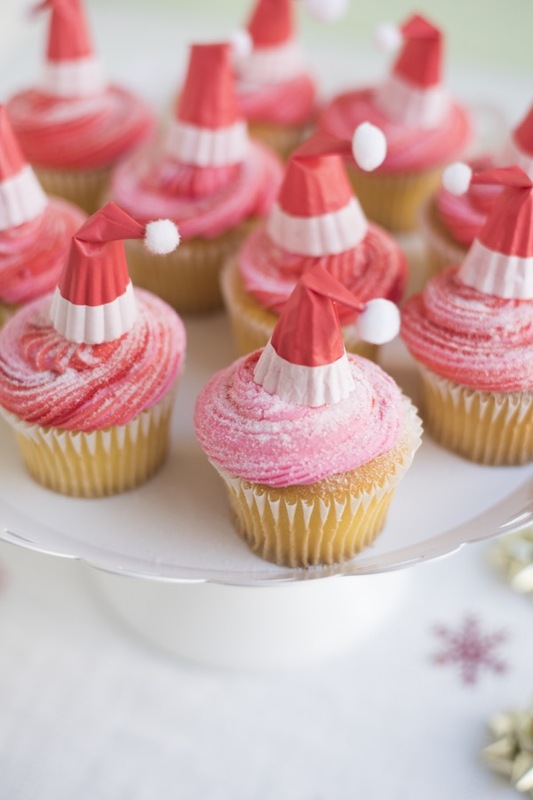 Get gold of a red and white cupcake liner as seen in the picture, shape it as a hat, fix white pompom on it and use it as a Santa cake topper. 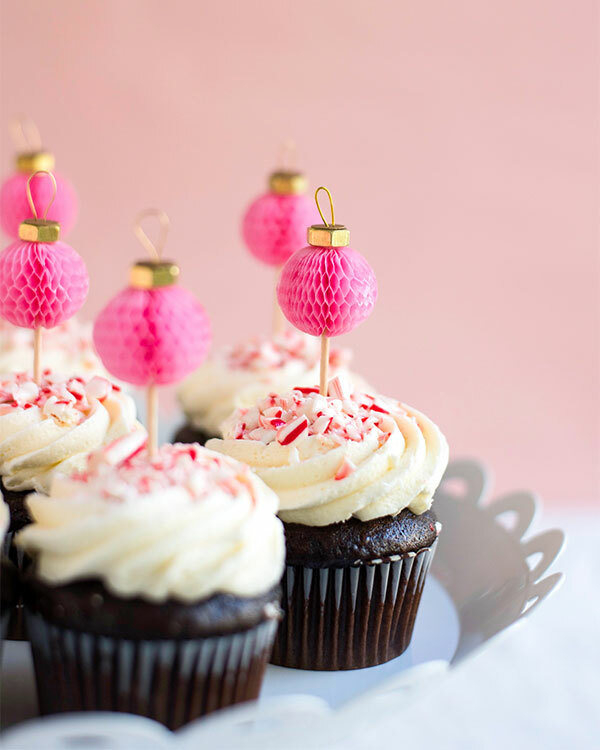 We totally heart these honeycomb ornament cupcake toppers from, yet again, Oh Happy Day. These mini honeycombs with brass hex nuts make these cupcake toppers too cool to be even placed out on the table. We know these cake toppers look difficult to pull off, but as hard as you’d find it to believe, these cake toppers require just three ingredients, namely pretzel sticks, marzipan and green sanding sugar. Insert into your white or any neutral colored cake and you’re good to go. 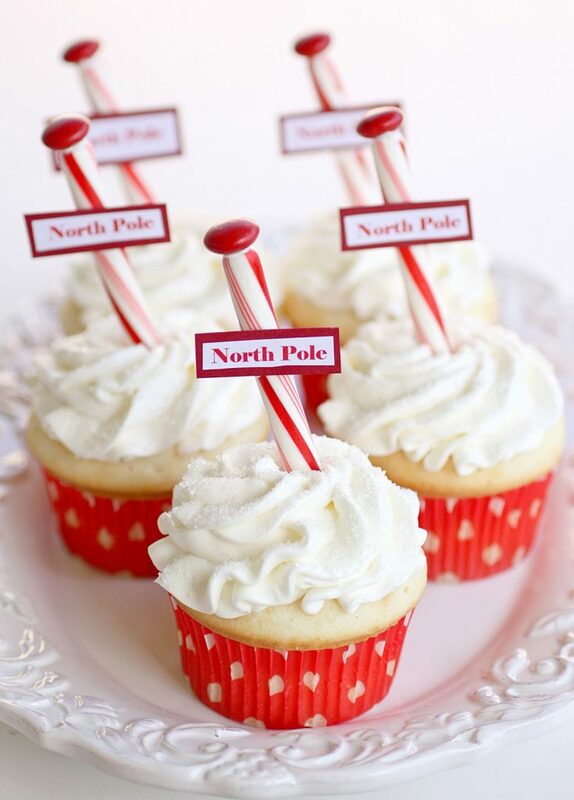 Give your family a taste of North Pole by decorating your vanilla cupcake with vanilla frosting with this candy cane North Pole signs. It’s a pretty simple topper and can be made by kids as well. Who doesn’t love gingerbread cookies, especially when they’re mounted on delicious cupcakes or cakes? 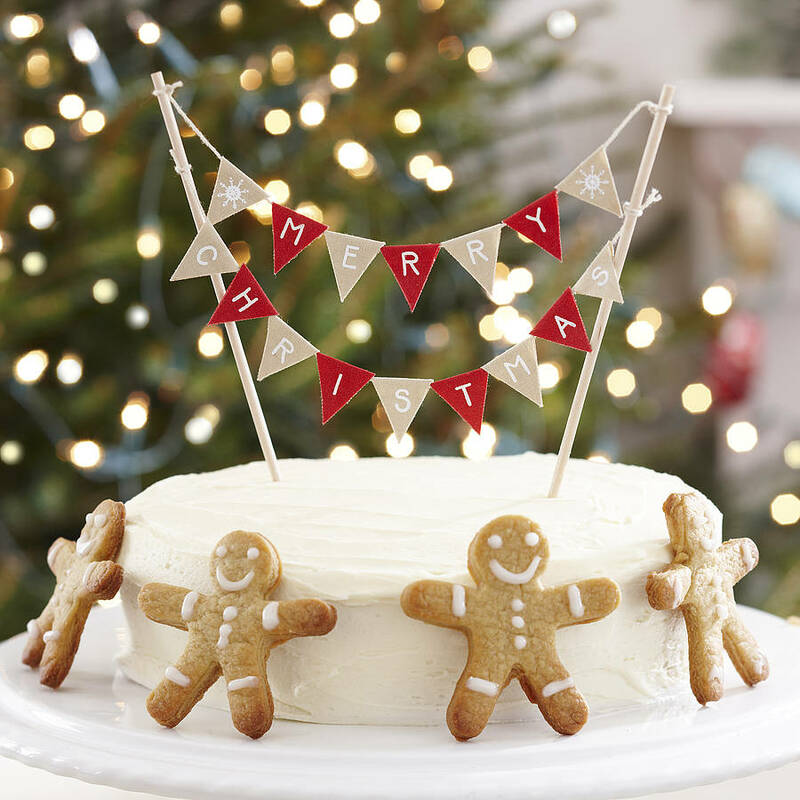 Gingerbread cookie toppers are so versatile that they’ll go with almost every type of party. In fact, they’ll make your party come alive. 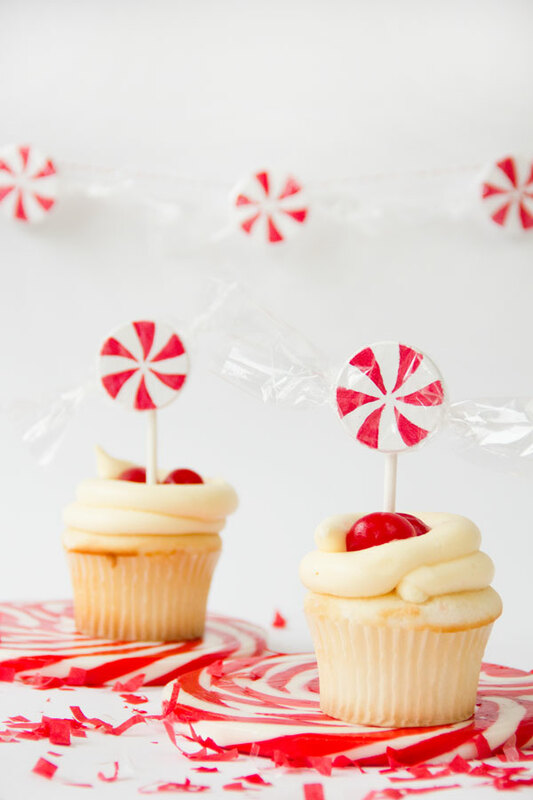 How about decorating your cupcakes with faux peppermint candies? You need to paint small discs red and white just like a real peppermint candy, glue them to sticks and insert on cupcakes. This way, there won’t be any risk of candies melting all over your cupcakes as well. Here’s a delightful and luxurious set of Christmas cake toppers made meticulously using resin. It features a hand painted gingerbread house, a retro Rudolf, white Christmas tree and a Happy Christmas sign. 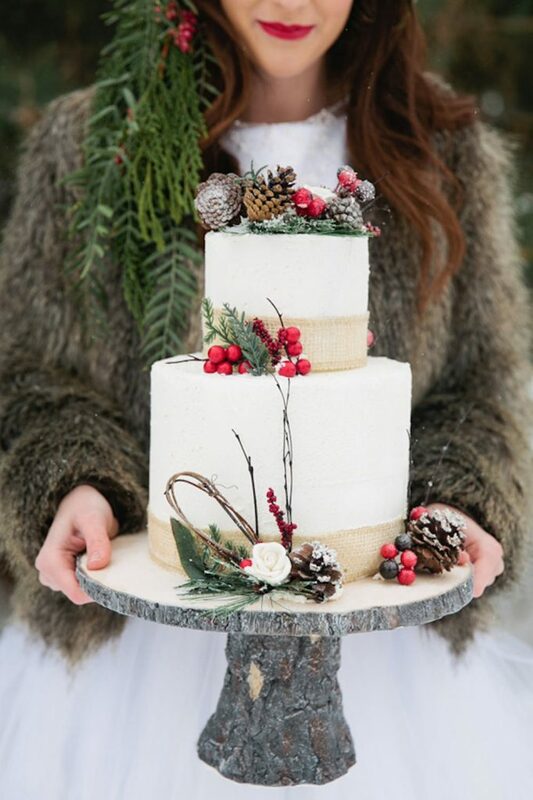 This cake looks pretty enough for an elaborate winter wedding, isn’t it? And again, you’d be surprised to know that it’s so easy that even an elementary school goer can make. 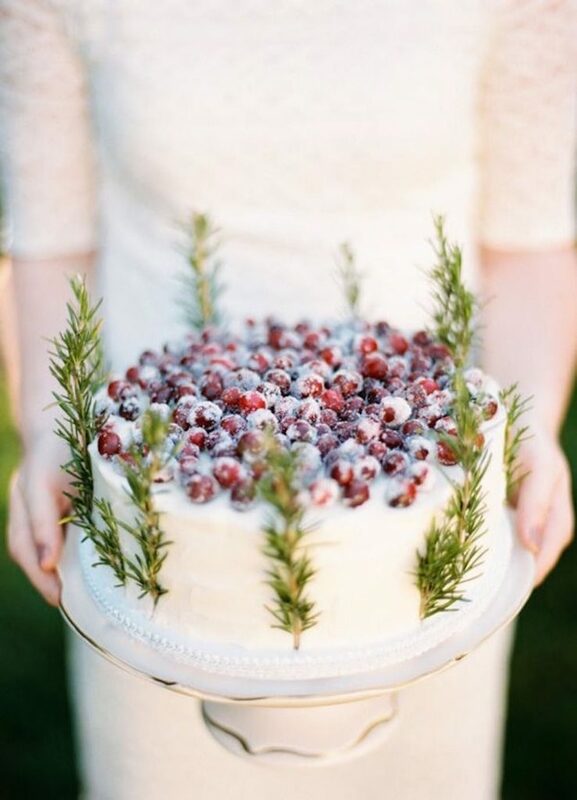 Just pile sugared cranberries on top of the cake and decorate the sides with rosemary sprigs. 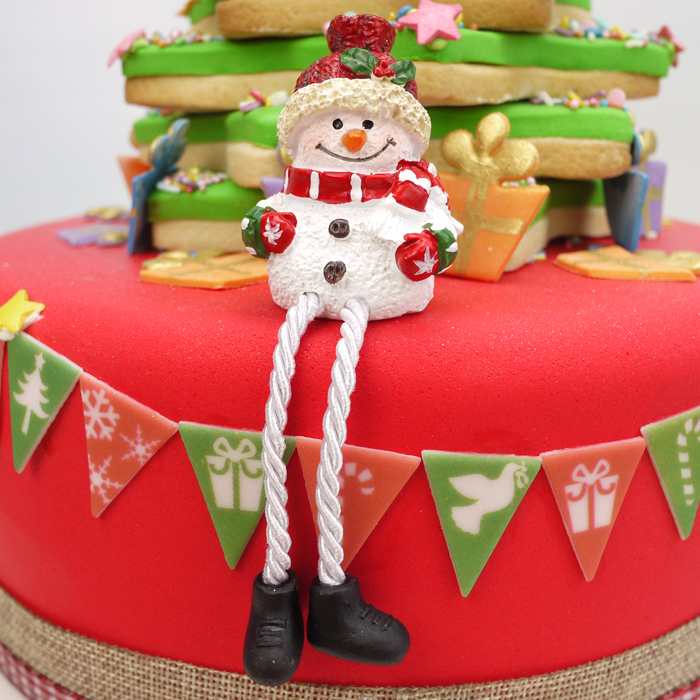 Give a cute and funny look to your Christmas cake by decorating it with this dangly leg snowman cake topper. 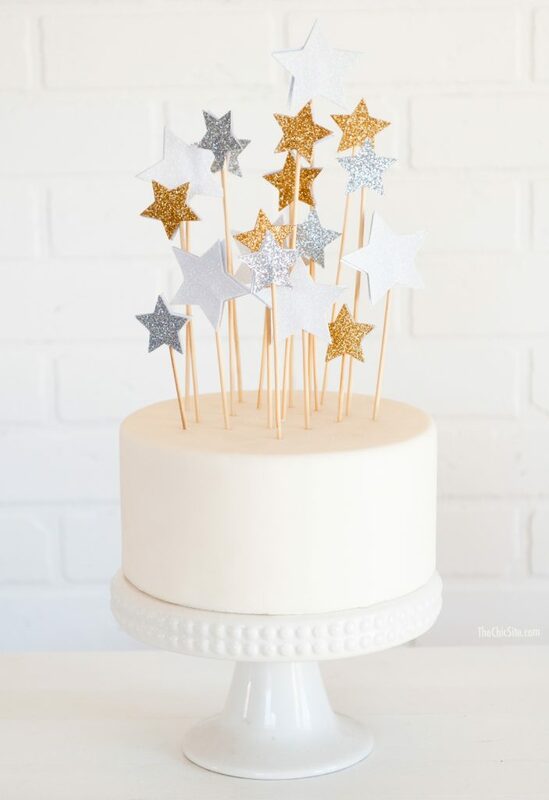 If you’re in the mood of DIY, why not make these shimmery and glamorous cake toppers for your too pretty to eat Christmas cake? Since these toppers themselves are quite showy on their own, you can keep the cake subtle with a simple vanilla or white chocolate frosting. Add some sparkle to your Christmas tree with this dainty glitter reindeer topper. 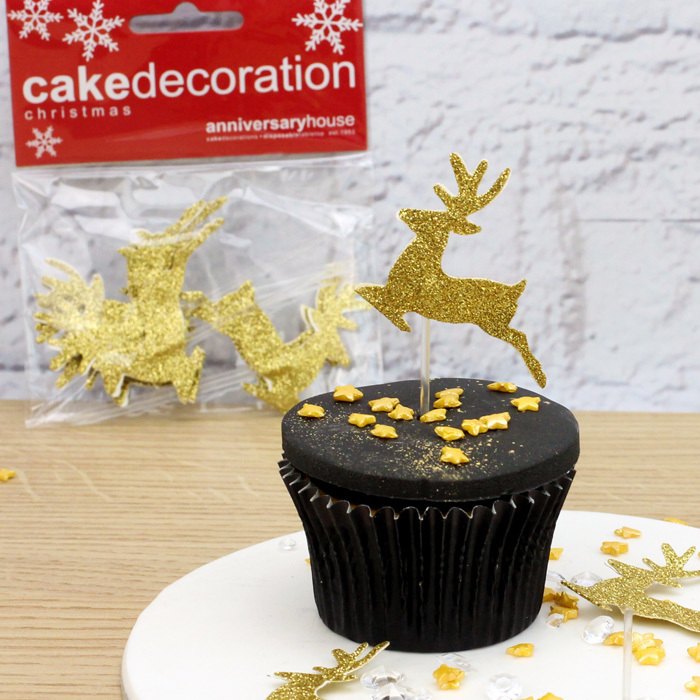 You’ll get a set of 12 of these toppers, which you can use either to decorate a batch of cupcakes or to create a glittery winter wonderland. 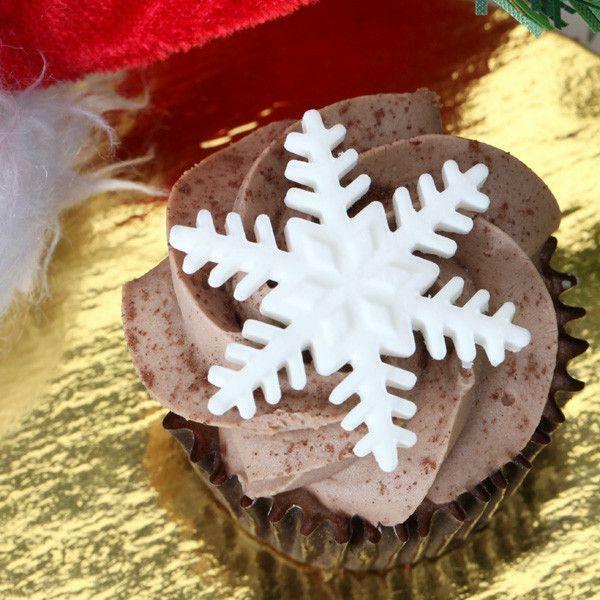 How about topping your Christmas cake or cupcakes with these neat snowflakes? It may look like they are plastic snowflakes, but in reality, it’s completely edible and can be used to top a variety of desserts. And we’re hundred percent sure everyone will love it. 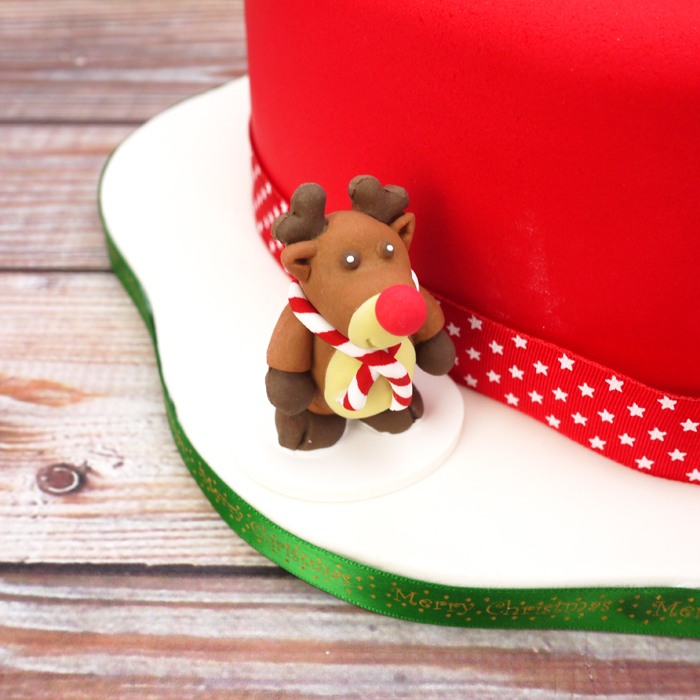 Imagine how delightful your Christmas cake will look with this adorable topper perched on it? If you’ve made a small sized cake, this topper would look great on its own, and if you’re planning to make a large festive cake, add a few more characters along with it. 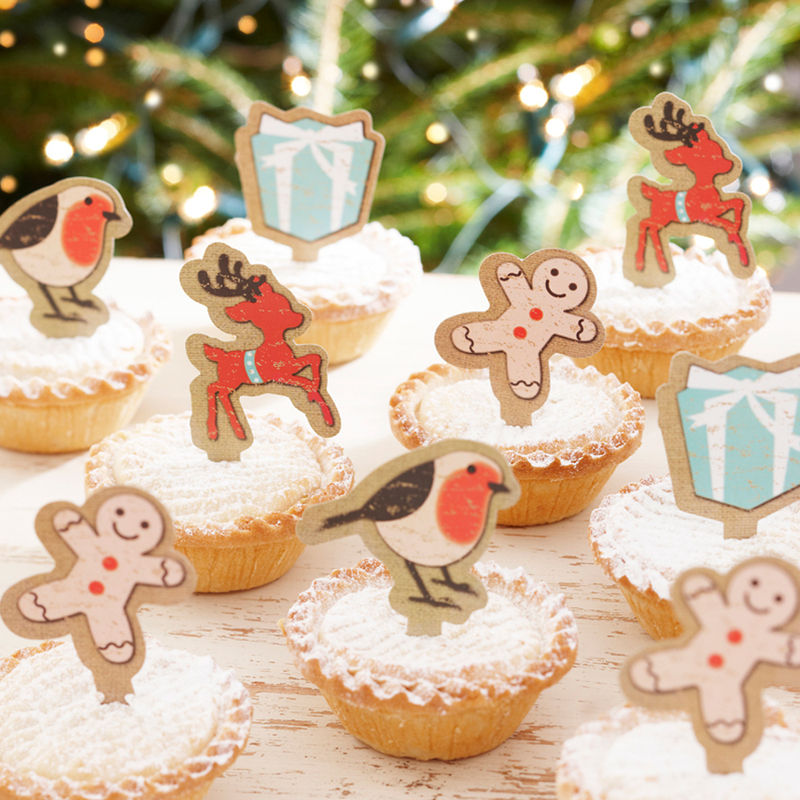 Add some cheer to your table by decorating your cake, cupcakes, tarts or muffins with these adorable Christmas symbol toppers. You can easily get hold of a pack of these online or in store. 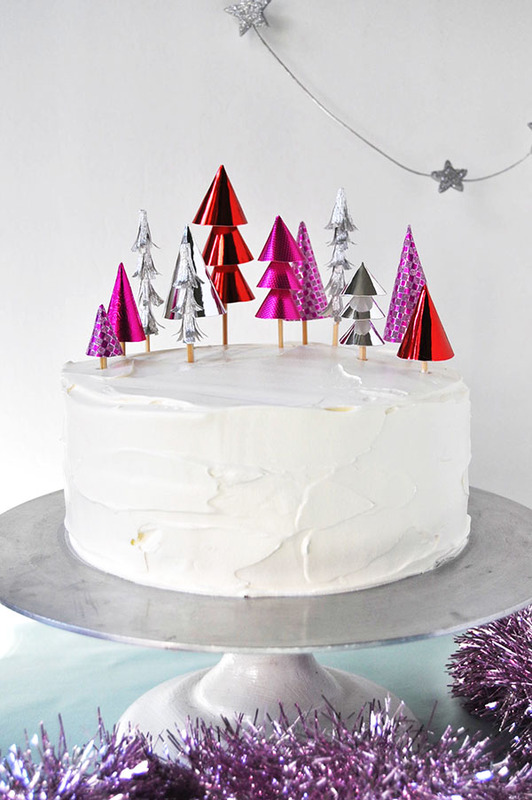 A delish fruitcake with fluffy white frosting deserved to be topped with this tree topper. And it’s extremely easy also as you just need to chop a tiny pine branch, wash it and insert the end in your cake. You can even create woods out of chocolate, if you want. Here’s a novel way to decorate your Christmas tree- a miniature bunting cake topper. Just put it on top of your cake and see the jaws of everyone around drop. 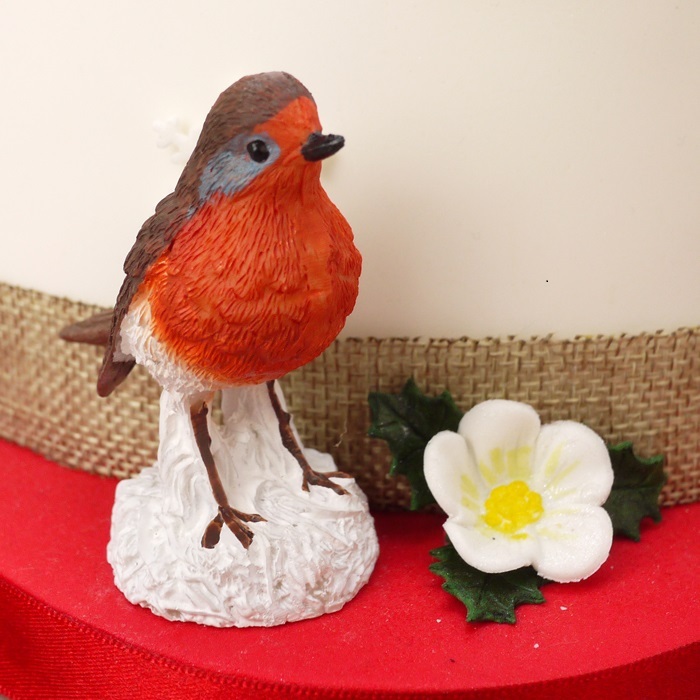 This robin cake topper would look great on its own, but if you want, you can add a bird house and seasonal greenery to make it look wintry. Just keep in mind that it’s non-edible. 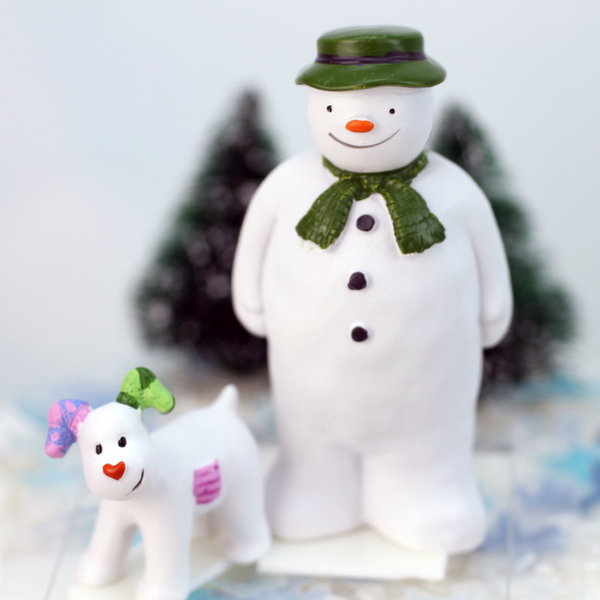 This delightful cake topper of a snowman and his snow dog is so pretty that you can use it year after year and people would still love it. Pair it with a gingerbread house to make a full-fledged scene. This gorgeous golden Christmas cake tree topper would make your holiday an extra special this year. 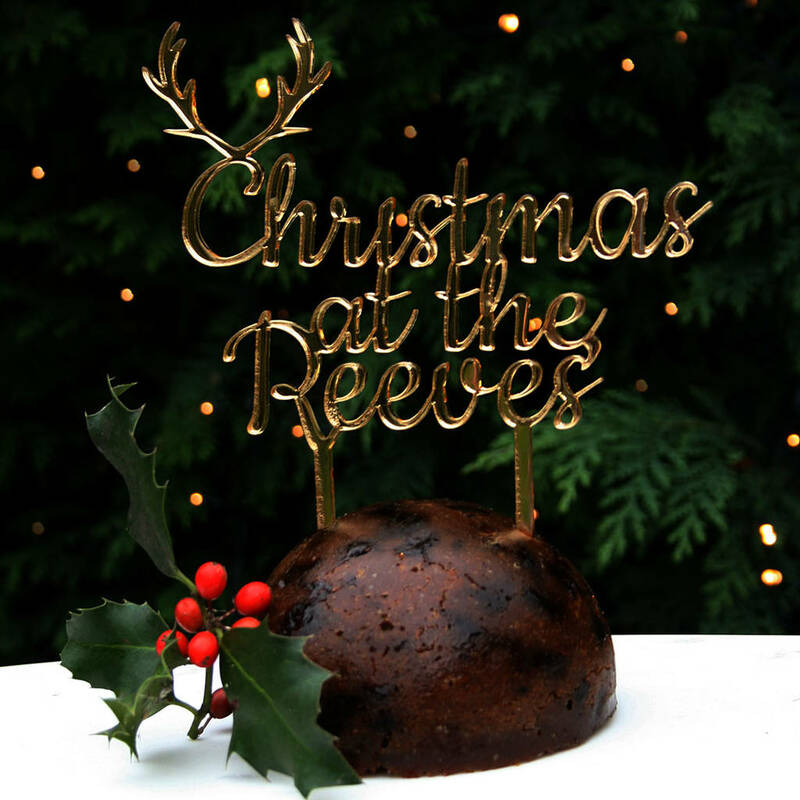 Made from mirror gold acrylic, this topper is basically the joyful message, Christmas at the Reeves”, which makes it even more holiday friendly. Snowflake cake topper would be your safest bet during Christmas. You can create something similar with gumball paste shaped as a snowflake and stuck on a floral wire. If you don’t have much time for it, get some tiny plastic snowflakes from the market and stick them to the wire. 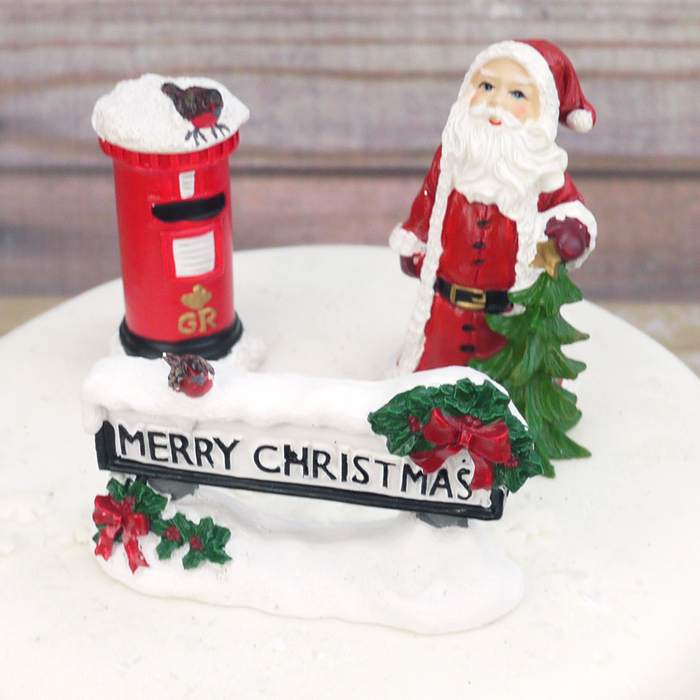 Get your entire family into the Christmas spirit with this gorgeous Merry Christmas cake topper. Made with the finest of food, this topper would look beyond stunning on a cake and even a gateau. 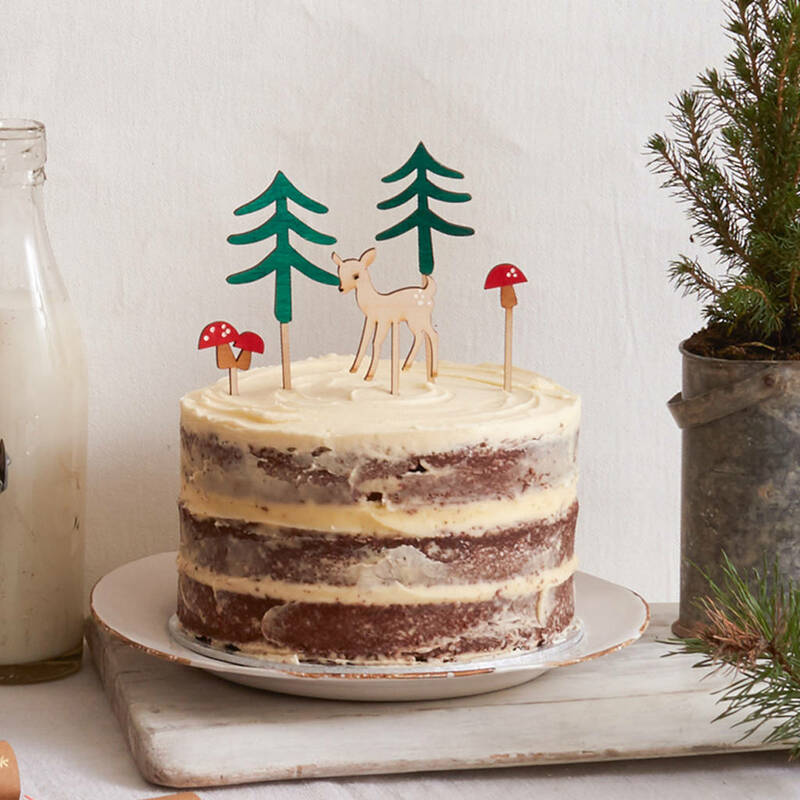 Create a beautiful woodland scene on your cake with this set of cute cake toppers. The set includes pine trees, mushrooms, and deer. Feel free to arrange it any way you like. Nothing will cheer up kids more than seeing Santa with gift boxes and Christmas tree decorated on their favorite dessert. Instead of placing it on the cake, you can affix it on the sides. This classy and elegant Season’s Greeting tree topper would add a wonderful touch to your Christmas cake. Besides, it will even make a lovely centerpiece, which each one in your family will adore. Give a North Pole’s look to your pristine white Christmas tree with this beautiful cake topper. It features Santa Claus near a post office in his North Pole home. Don’t forget to finish it off wita h festive ribbon. So what are you waiting for? 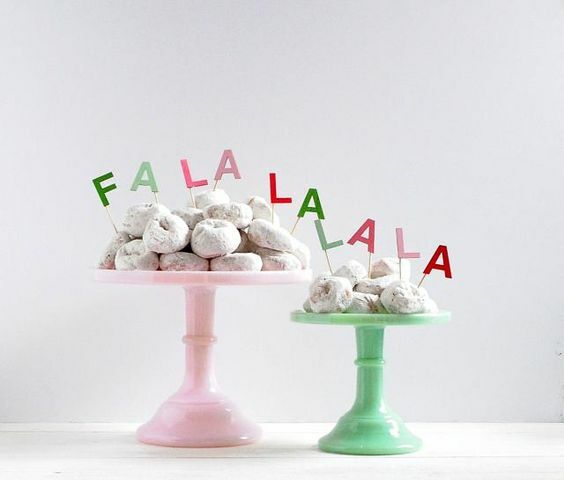 Put on your apron or your creative hat and start making these Christmas cake toppers right away. Or if you’re feeling lazy, get it from your nearby store. And how are you planning to decorate your Christmas cake? Did you like any of these Christmas cake toppers? Share with us in the comments below.